Improves upon the strong first season. We last left Trevor Belmont and his companions in the search for the means to find Dracula’s castle and slay the master of the keep. I left Castlevania with a positive impression though uncertain of whether it could hold up beyond what was, essentially, the opening to a series. Much to my surprise, yet again, Castlevania is superior to what I had anticipated by way of an interesting narrative focus. Season 2 opens in the past with the arrest of Lisa (Dracula’s wife) by the Church for the “witchcraft” of medicine. While this is a retread, it gives us more detail and makes for a chilling first scene when you know what happens to everyone for ignoring her warning. After this, we jump to Dracula’s war room, where his strongest vampires from across the kingdom have gathered to plot humanity’s annihilation. However – and this is where the brilliance started – he selects two humans as his generals to lead the scourge, much to the disgust of some vampires, especially one of the Vikings. Beyond their deep-seated loathing for humanity and their tactical ability, these two have the only clear heads in the army not driven by bloodthirst. Now, at this point, it’s just a good idea (and I’ve harped on often enough about the importance of execution over ideas in past reviews). The brilliance comes in the backstory of these characters, contrasted against the vampires, and their actions going forward. They are simultaneously committing some of the most heinous atrocities against humanity while conveying sympathy. One of the two, Isaac, is Dracula’s Forgemaster. He doesn’t forge weapons, however. His speciality is bringing the dead to life, often forged into demons of great power, though he has equal inclination to revive a fallen puppy as a companion. Makes for an interesting ability. The appointment of these two as generals leads to much unease among the vampires, many playing politics to gain power or favour with Dracula. There are whispers among the ranks about Dracula’s soundness of mind after the loss of his wife. How will vampires feed if he wipes out all humans? Carmilla the vampire queen of many legends is particularly sly and sharp of tongue. I relish the political drama she brings to the court. I did not expect politics, of all things, to be such a significant portion of the narrative and so well executed. I haven’t talked much of Trevor and his two companions so far because they aren’t the focus this season. They have enough to do for the eight episodes as they return to Trevor’s home for blessed weapons and a means to access the castle, but the focus is truly in Dracula’s camp. It’s a bold risk to shift from the protagonist. It works. Sure, we could have more of the trio in addition to all screen time with the opposition, but that would go into overtime. Castlevania Season 2 isn’t all blood, politics, and goodness, unfortunately. The end feels too quick. For seven episodes, we have methodical build up packed with social and political dynamics, feeding us juicy backstory and character motivations until we reach the final episode where, suddenly, so much of it wraps up with too many questions and possibilities remaining unexplored. It needs more. It gives the impression that they didn’t know episode 8 would be the last until they started work on it, realising they needed to close several threads. I want more – more vampire society, more politics, and more lore (and bring the Church back! Tap that potential). I am grateful to know a third season is on the way. Even so, they could have gone deeper with Dracula’s arc in particular. Still, I am far from disappointed with Castlevania Season 2. The action is as gory as before (you see someone decapitated by hanging from a bladed noose), the orchestral soundtrack is a perfect match to the atmosphere, and the acting is still quality, now with more accents from the corners of Dracula’s kingdom. I love that this outdid the first season. Recommendation: Watch it. Castlevania Season 2 improves upon the first season in almost every way and now goes far enough into the story to warrant investment. If season 3 is any better, I’ll have to consider a Very High rating. Too early to gauge full quality. In the same way that game-to-film (or vice versa) adaptations bring the worst out of art, game-to-anime conversions are mind-numbing experiences that contain none of the game’s magic. When Netflix announced a Castlevania series, I didn’t even bother adding it to my ‘might, perhaps, one day if there is no more anime, eventually’ list. The series releases and the strangest comment reaches my ears… It’s good. What unspeakable pact did the creators enter into? 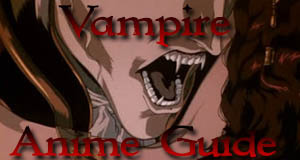 While not an anime, Castlevania adopts plenty from the likes of Hellsing and Vampire Hunter D in its adaptation of the game franchise of the same name. More specifically, this uses Castlevania III as a launching point with some Symphony of the Night elements. The first episode introduces us to the human Lisa as she enters Dracula’s castle and meets the vampire lord of Wallachia himself. Rather than throw her out – or worse, drain her – he is endeared by her desire to learn science and spread such enlightenment across mankind. She doesn’t run away like the others. He teaches her chemistry to help the villagers and marriage is not far behind. However, the Church grows suspicious of her newfound curative abilities and finds heathenistic devices in her house, such as instruments of glass too thin to be of human creation. They burn her at the stake. Oh what a grave mistake. Dracula’s wrath unleashes a demon horde across Wallachia. The land is now a place of death. At a small inn still untouched by the horde, Trevor Belmont is drunk and getting drunker. His family of demon slayers fell from grace since their excommunication by the Church, so there’s little to do but drink these days. Even a horde of game doesn’t interest him. A human plea will soon change this. So, the story starts like a Castlevania game, and it does well by setting the stakes as high as Dracula’s castle and giving a flawed yet likeable protagonist. Then there’s Dracula, exuding majesty and awe-inspiring power. They didn’t tone him down. I was prepared for something like the Devil May Cry anime, where the characters, especially protagonist Dante, have none of the personality that makes them enjoyable. Instead, Castlevania added more than what was to be found in the games. These four episodes serve as the setup to a grander series. They establish Dracula, Trevor and his allies, and the subplot of the Church, which added the story depth to turn this from good to great. I hope to see the Church subplot throughout the series. The action is no wet skeleton either. It’s gory and brutal, as it should be for the franchise, and the choreography has thought behind it. Duels are especially satisfying. With all this praise, what’s the downside? 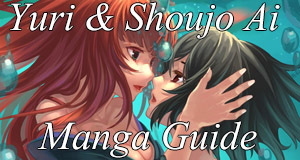 Well, it’s hard to say at this point, as I am reviewing the start of a series. I have no complaints right now, but elements could become problems. For example, Trevor’s bravado will turn annoying if overused and he trash talks instead of fighting, like a bad villain monologue. The inside of Dracula’s castle may also have little story, with all interesting plot occurring outside under the Church’s influence. Who knows? It’s too early to say. Still, it looks right, sounds right, and feels right. I can’t wait to see what comes next for Castlevania. The art feels like the games turned animated, dripping with gothic atmosphere. Some animation is jittery, but good overall. The accents work well in English. The Japanese is good enough if you prefer that. Music complements the dark atmosphere. A son in the long line of once-noble Belmonts prepares to fight the Lord of Darkness, Dracula. Castlevania is a great start to adapting such a venerable franchise. Recommendation: Watch it. Unless you can’t stand gore, Castlevania’s four episodes give a good taste of whether you should look forward to more.